It’s no secret that Eastman Kodak Co. has fallen on hard times in recent memory, but despite all of that, the ailing photography company has been able to keep one secret closely-guarded for more than 30 years. 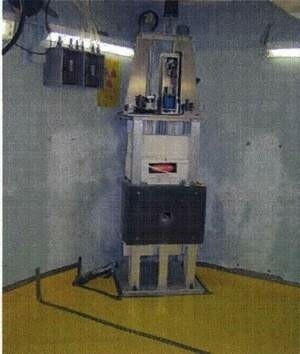 Kodak maintained a small nuclear reactor filled with 3.5-pounds of weapons-grade enriched uranium in an underground basement in Rochester, New York and nobody was the wiser. Known as a Californium Neutron Flex multiplier, Kodak acquired the reactor in 1974 which was loaded with 3.5-pounds of uranium plates around a Californium-252 core. Uranium is the material used to create nuclear weapons. It was kept in an underground bunker with 2-foot thick walls and was under tight security. The device was one of only two ever created and the only one used for private industry. Kodak used the device to conduct decades of research, check materials for impurities and perform neutron radiography testing. The company maintains that the device was perfectly safe and since it wasn’t a power plant, there was no risk of explosion and there was never a radiation leak. Technically speaking, the device wasn’t a “secret” as it was mentioned in some research papers throughout the years, although its location was never disclosed. It appears that the company never made local police and fire departments aware of its existence. Furthermore, Kodak spokesperson Christopher Veronda was unable to locate any public announcement of the facility. The company decommissioned the reactor six years ago and with the help of federal regulators, the uranium plates where packaged into protective containers and hauled away in November 2007.